LG 55LA860W review | What Hi-Fi? 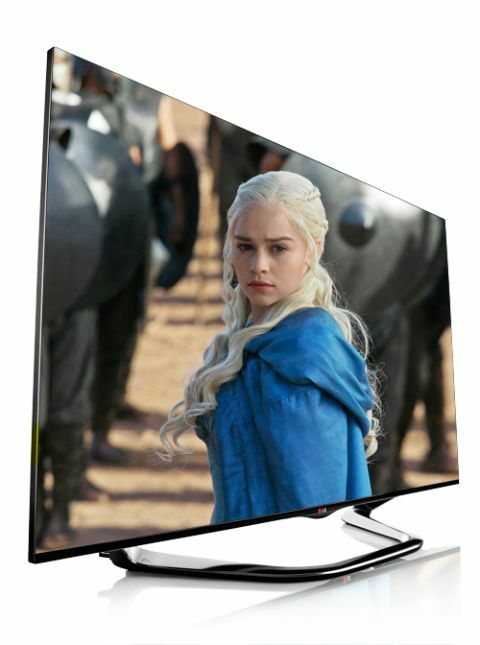 The LG 55LA860 TV is looking to buck the trend for LG TVs in 2013. Take a look at LG’s TVs from the past year and you’ll find a long list of four-star performers. While there’s no doubt they’ve impressed us, they’ve been good sets rather than class-leading, and have struggled to compete with the very best the TV world has had to offer in the past. The LG 55LA860W is hoping to change that. Settling into LG’s 2013 LCD range a few rungs down from the top, it offers an impressive spec list alongside an attractive design. The design appears to have been honed from last year rather than overhauled, showing off an even skinnier bezel with a new curved stand. The LG 860's spec list is a similar story, with subtle tweaks and enhancements favoured over big changes, with a majority seemingly focused on LG’s smart TV offering. The interface has had a bit of a redesign, though it does keep the ‘cards’ system of last year. This lets you group different apps together on a series of cards and organise them in a way that’s useful to you, via a simple drag-and-drop movement. It’s a system that works, and while it might not be the most attractively designed interface, it certainly trumps the rather laborious app layout on Sony’s KDL-55W905A. The point-and-click Magic Remote also gets a facelift, and is now smaller and more streamlined, working well for navigating smart TV menus much faster than with the standard remote control. Voice control is also offered through this remote and works really quite well. It managed to pick up all the terms we used, searching apps such as AceTrax (alas, soon to close) and YouTube, the web, TV recordings and connected devices. Smart TV aside, the real proof of a good TV comes in the watching, so we delved into Looper to put the LG 55LA860W’s picture quality through its paces. We were suitably impressed. The LG delivers a strikingly natural colour palette, working well with all manner of skin tones and giving objects and surroundings a colour balance that feels just right. Outlines are crisp and precise, without being over-sharpened, and the detail and clarity on offer are commendable – it all works together to give an overall impressive and immersive watch. Change to a 3D Blu-ray of Life of Pi and the results are equally good. The 860W uses passive 3D tech with four pairs of colourful glasses included in the box. Landscapes have good depth (a trait usually found more in active sets) and movement is stable on the whole, only losing its cool in particularly busy scenes or at the very front of the screen when objects are moving towards you. The active 3D performance of rivals still gives a more convincing effect on the whole, though, providing more roundedness and texture – but for an easy-on-the-eyes passive set, it’s a performance that LG can be proud of. Switching over to a standard-def channel on the set’s Freeview HD tuner, this LG TV does a fair job of upscaling the picture to something more acceptable, although edges are somewhat softened and some detail is smoothed over and lost in translation. And this is where LG’s problems really arise. While on its own terms it’s an impressive package that we’d imagine most would be happy with, it’s in comparisons with the very best that highlight its slight weaknesses. You start to see that blacks could be that bit darker, whites could be brighter, contrast could be improved and detail could be just that bit sharper. There’s certainly no doubt that the 55LA860W is a good all-rounder, and with a price tag slightly lower than its peers it’s certainly one for consideration. But at the £2000+ price level, it’s up against some terrific competition in 2013, and so falls just short of five star glory.